It's official- we'll be travel blogging again soon. 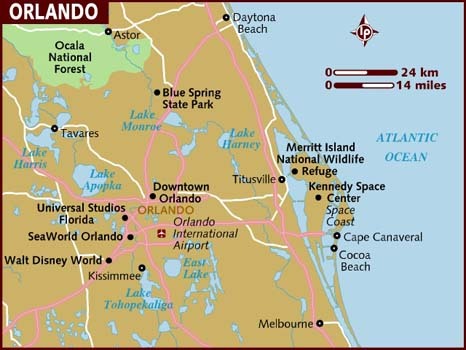 This time, in Orlando, Florida. I think we'll be making a few stops to other towns in the area- as well as Cocoa Beach. I have been there three times, back in the 80's, but Gerry has never been there, so I'd love to go see how it's changed as well as see some things I never saw back in the day. We'll be heading there in September, so look out for posts from me on things to see and do if you too are planning a trip to Orlando. We got a great deal once again through our timeshare RCI, and will be staying in a condo for a week while there, at $199 for the week! After checking flights to Orlando, we were able to get airfare for the two of us for : $1300.